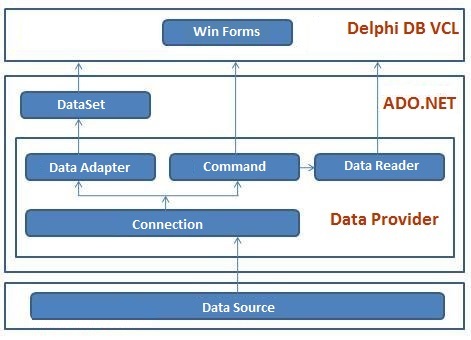 SqlClientDAC is a feature-rich and high-performance library of components that provides native connectivity to SQL Server from Delphi for both 32-bit and 64-bit Windows platforms. SqlClientDAC-based applications connect to SQL Server directly through the ADO.Net SqlClient, which is a .NET Framework Data Provider for SQL Server. SqlClientDAC is designed to help programmers develop faster and cleaner SQL Server database applications. SqlClientDAC uses its own protocol to communicate with SQL Server. SqlClientDAC is lightweight and performs well because it is optimized to access a SQL Server directly without adding an OLE DB or Open Database Connectivity (ODBC) layer. - Direct access to microsoft sql server data. Does not require installation of other data provider layers (such as BDE). - Bulk copying of data from a data source to Sql server database using TSqlClientBulkCopy.